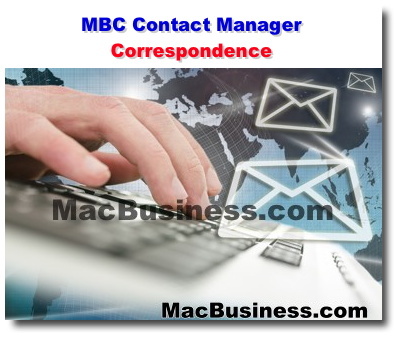 The MBC Contact Manager Database (MBC CMDB) is a cross-platform (Mac OS and Windows) FileMaker® Pro contact manager database template designed to perform many key contact management tasks with ease of use and power. 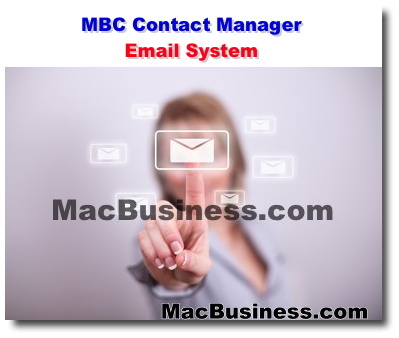 Many of the contact manager applications on the market today attempt to do "everything". Unfortunately, they become so complex and difficult to use that most users utilize only a small portion of overall potential. 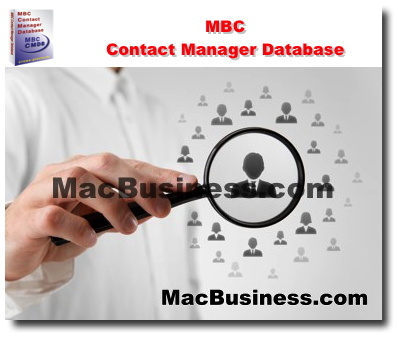 The MBC Contact Manager Database has proven to be an "easy to use" contact manager. The bottom line is that users are performing robust contact management tasks efficiently and effectively, many of which could not get done using other contact databases. 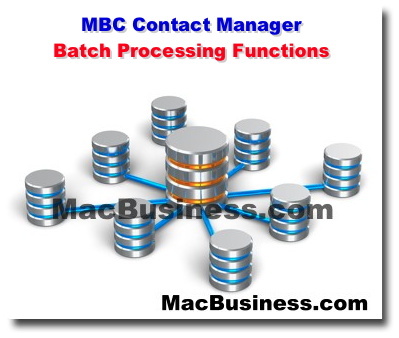 The MBC CMDB is only sold as a package solution (template, customization and support) which ensures you will be able to use it for your work on day one. This is one of the many reasons why the MBC CMDB has been a great success and provides exceptional value for every customer who has purchased it. 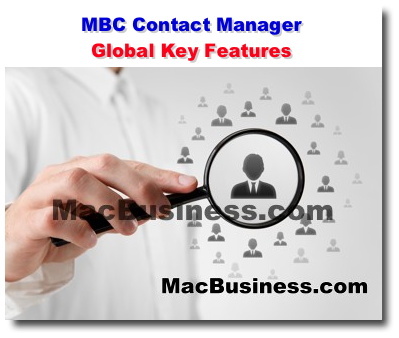 The MBC Contact Manager Database (MBC CMDB) is a cross-platform FileMaker® Pro contact manager database template designed to perform many key contact management tasks with ease of use and power. Easy to use interface and navigation. Powerful On-line Help with step-by-step instructions. Cross-Platform Ready - Mac OS and Windows. Fast Search feature to efficiently find a contact. Correspondence Layouts to efficiently generate letters, faxes and E-mail. Powerful Email System - allows you to send personalized Emails with HTML (images/styled text) and/or Text format directly from FileMaker Pro to an individual or a group of contacts. It also allows you to include attachments. 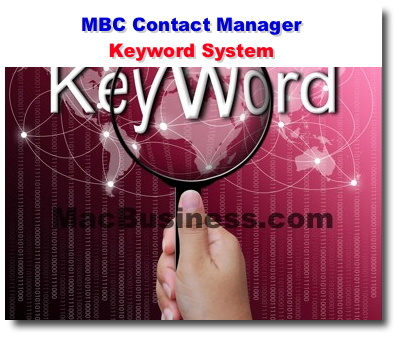 Robust Keyword System to organize contacts into groups. Robust Batch Functions for creating/assigning Follow-Ups, History and Keywords. Letter Template Library - Create and edit a list of predefined letters that can be easily pasted into correspondence layouts. Special Events Management - Track birthdays, anniversaries, etc.. of your clients, family and friends, etc. Validation - We have added a variety of validation routines to minimize the entry of bad data. US Zip Code Lookup - Will lookup city and state after you type in the zip code. Hawaii Demographic Lookup - When you type in a Hawaii zipcode, it will automatically lookup the island. Also shows a Oahu region (i.e. Central Honolulu, Windward, Leeward, etc.) if applicable. Thanks to you, the startup of my new business began with a "bang"! In the first 3 days of using my new MBC Database solution (along with your expert data conversion), I was able to contact several past clients who were ready to begin the process of financing that I otherwise, might have missed out on. Your high-energy leadership approach and refreshing business-like manner maximizes my resources and gives me the confidence and advantage my competitors wished they had. Investing in your system was one of the smartest investments I've made and can't recommend it enough! Thank you! 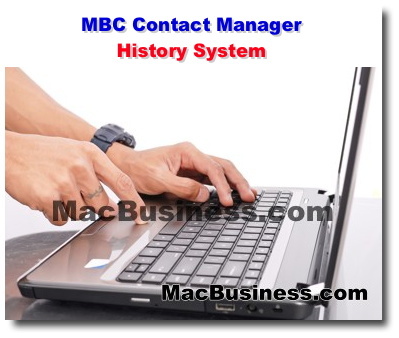 MBC's Contact Manager has remodeled the way I manage people in the office and our thousands of contacts. It has become an invaluable tool and we now wonder how we lived without its diverse capabilities. 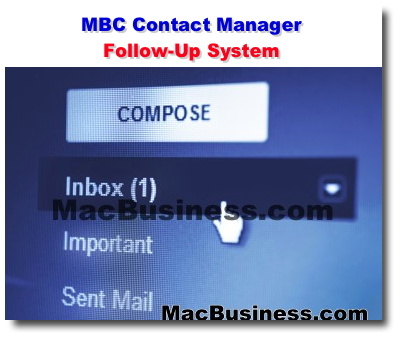 It has also significantly reduced daily stress as we can now note our follow-up commitments by priority, date and the Contact Manager gives all other information/tools necessary to make follow-up easy... MBC's Contact Manager and Mac support services can be one of the most useful investments in your business and/or career.